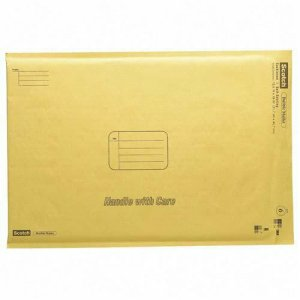 Bubble Mailer 12.5" x 18"
Home > Paper Goods & Office Supplies > Mailing Supplies > Bubble Mailer 12.5" x 18"
Bubble lined wall construction for extra protection during shipping. Handy self-sealing closure is reliable, tamper-evident, and easy to use. Mailer is lightweight to save YOU money on mailing costs.